German weapons maker Rheinmetall plans to sue the government over its decision to stop all arms exports to Saudi Arabia after the killing of journalist Jamal Khashoggi, Spiegel Online reported on Sunday. 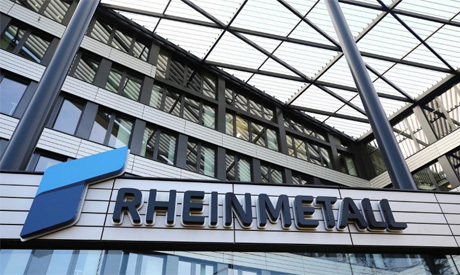 Citing a letter to the Economy Ministry, Spiegel said Rheinmetall intends to sue the German government for loss of revenue if the export suspension continues. Berlin suspended approval of future export licenses to Saudi Arabia in October and in November said it had worked with industry to halt shipments of arms sales that were already approved. No specific timetable was given at the time, but industry sources told Reuters an agreement had been struck to revisit the matter by mid-January. Last week the economy ministry said the government still had no intention of approving arms exports to Saudi Arabia. Without citing sources, Spiegel said Rheinmetall believes it can claim for compensation because the government’s decision affected exports that had already been approved. The company’s management fears shareholders could sue Rheinmetall if the company does not demand compensation for the losses, Spiegel added. “We cannot comment on individual decisions, possible revocations or individual measures,” the Economy Ministry said in an emailed statement. A spokesman for Rheinmetall declined to comment on the report. Spiegel said goods worth up to 2 billion euros ($2.3 billion) are affected by the export suspension, including four Cobra radar systems built by a consortium that includes France’s Thales, Airbus and Lockheed Martin of the United States.